During my home visit in Fort Collins I continued a decluttering exercise dubbed the Big Purge that commenced in August. To recap that activity, I sold 19 items on eBay and Craigslist for a total of $410 with shipping, eBay and PayPal fees subtracted out. I also donated over 50 articles of clothing, 19 books, and several items the previous owner of my house had left 10 years ago. As much as that seemed, I still had a lot of items that had become unused, unwanted, or obsolete (many due to advances in technology, such as the advent of the modern smartphone). How many items? 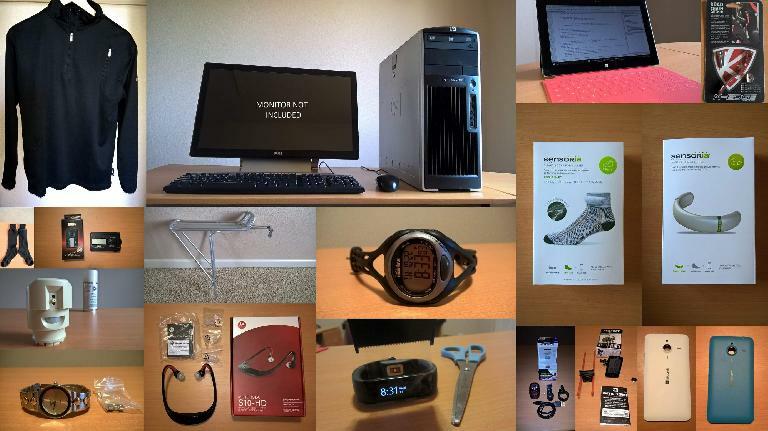 I counted roughly 35 items that I had stashed in the closet of my office to put up for sale. So on one of my first days back in the Fort I spent a few hours listing those items on eBay and Craigslist. At the end of the two week visit, these are the items I managed to sell, listed in decreasing order of value. All were sold on eBay except where noted. Microsoft Surface RT, sans Touch Cover—actually traded it in at Best Buy for $132 towards a new Surface Pro 4! This is a bit more than I would have been able to get on eBay. In addition, I donated a beat-up cap that had seen better days and a race volunteer t-shirt by depositing it in one of those street-side “donate shoes and clothes here” kiosks. Total sales of the above was $640 when subtracting shipping, eBay, and PayPal fees. Those dollars were then earmarked for the purchase of a just-released Microsoft Surface Pro 4 and Microsoft Band 2 (which, incidentally, directly replace items 1-8 above). Since I sold “only” 18 things out of about 35, that means I still must have about 17 more items to purge when I return home in December. Or maybe 18 if I decide to sell the custom Intel Core i7 desktop workstation I built last year. 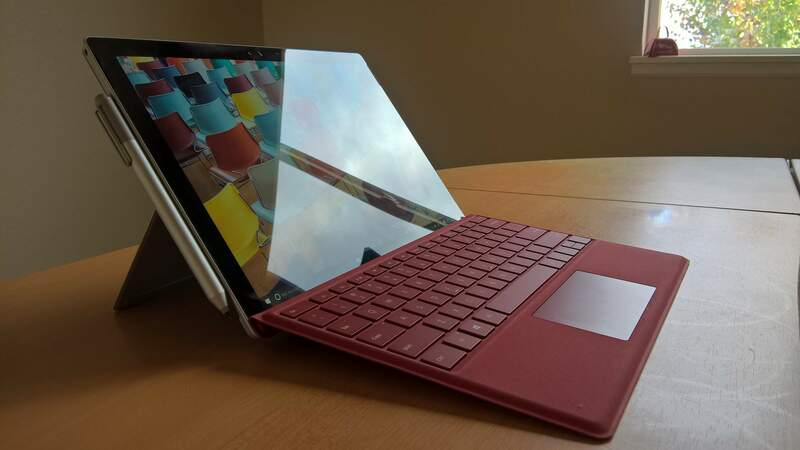 That decision is pending my evaluation of the Surface Pro 4 (with 6th generation Intel Core i5) and its ability to run workstation class software such as SolidWorks. So far the SP4 seems impressively speedy. This purging exercise has made me marvel at all the “stuff” I managed to accumulate over the last 10 years despite trying to be something of a minimalist. But I am quite pleased at the progress I have made in decluttering, and Round 3 should help even more.